This is an 8 1/2 x 11 study score and solo part for a 16 minute concerto for bass and clarinet and band. The work is in three connected movements, each evoking the 1970s rock style. The bass clarinet solo part is amplified, and uses guitar effects pedals to create a variety of colors. There is a hard-driving drum-set part, which leads the full concert band in exciting rock riffs. 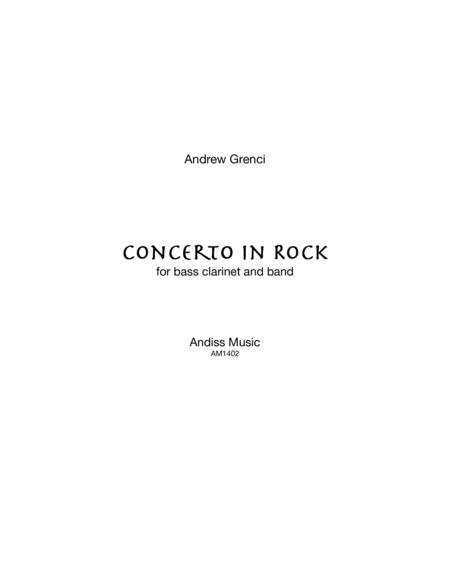 A full-sized score and performance parts are available for rent from Andiss Music. Contact the composer at andy@andrewgrenci.com for rental details.